The opening race from Dundalk under lights on Friday is the 666 Roulette @ Ace Casino Kildare Town Claiming Race over seven furlongs, and Yuften can give off the mark for 2019 for trainer John James Feane. Last seen here in fact, when scoring over a mile back in November in a claimer too, and this appears to be his best surface after a number of weak efforts on the turf in the last couple of seasons. Well out of contention in the Gigaset International Handicap and the Royal Hunt Cup eighteen months ago at Ascot, but is a C&D scorer from his time with Johnny Murtagh almost three years ago and the standard conditions appears to get the best out of him. Kasbah was a close second here two weeks ago, and can go one better in Crowne Plaza Dundalk Race & Stay Apprentice Handicap. Only been a raised a pound for that effort over course and distance behind a fairly progressive horse in Confrontational, and could be well in again this time. Fourteen runner field with a decent enough draw. Should make the frame. There is no reason why Colfer Me should fail to uphold his recent seven furlong course form with stablemate Numerian, when clashing in the STAGIT.ie / HENIT.ie Race over seven. That effort over a mile was comfortable enough for the 3yo, who stayed on well under Shane Foley to pull a few clear, and should have the runner-up covered again on that basis. The top one also reigns 8lb supreme on ratings over Evasive Power, and is the one to beat from the outside stall. The Game Of Life can continue the fine run of form Joseph O'Brien is experiencing of late, with a victory in the Dundalkstadium.com Handicap over a mile. Just the two runs for the son of top flat trainer Aiden O'Brien - winning on debut back in December over this course and distance. Brushed aside but ran on to grab second over seven here a month ago, indicating that a return to a mile should see in back in the firing line. Joseph O'Brien also has the Kangyu International Racing-owned Royal Court in the next - the Hydroscand Ireland Maiden over six furlongs. Yet to win in four attempts - three of those on this surface, but has always made a significant challenge and finished in the placings. A win surely cannot be too far away and that may come here, after his recent third over an extra furlong last Friday. First go at six, but usually breaks well and sharply, showcasing a lot of pace at the beginning of contests. Dropping to six surely then a plus. Things did not really go to plan for Rugby & Racing's Syndicates 6yo - Chess Grand Master over obstacles, and is set for his second All-weather start at Dundalk on Friday evening. Very lightly raced for a 9yo, he is a son of Galileo, winning his one and only National Hunt race in a bumper at Sligo back in 2017. A length layoff was an unknown before returning to the scene three weeks ago over a mile and a half. Responded well to pressure when sat in third to lead close home that day, and now faces a step-up to two miles. In with a good chance. 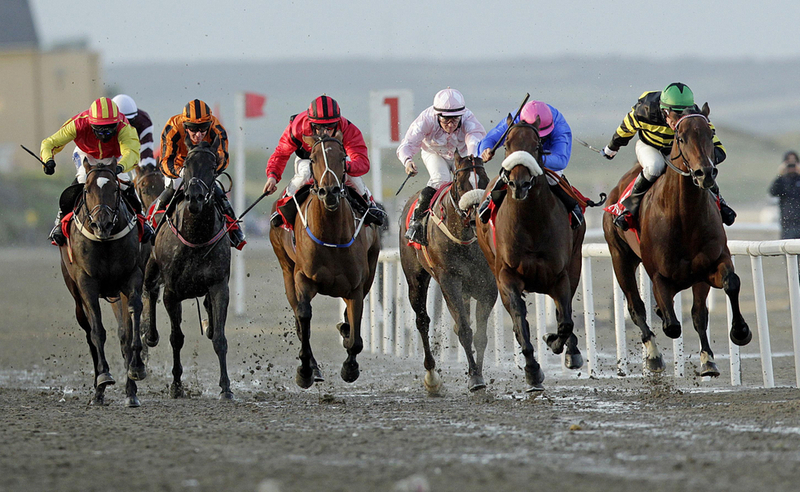 Our final tip comes in the penultimate race - Division I of the Fundraise at Dundalk Stadium Handicap, where the filly New Vocation is the selection. Plenty of experience at the track including her two most recent starts here over different lengths. Up in distance again - back to a mile and a half which saw her go closest to a win back in July at Down Royal. Perfect draw, and gets the assistance of Willie Byrne's seven pound claim on board.